Disney Frozen 8GB USB 2.0 Flash Drive Pen Just $4.99 Down From $16.99 At Best Buy! You are here: Home / Great Deals / Disney Frozen 8GB USB 2.0 Flash Drive Pen Just $4.99 Down From $16.99 At Best Buy! Best Buy has this Disney Frozen 8GB USB 2.0 Flash Drive Pen on sale for $4.99 (Reg. $16.99) + FREE shipping! You may also be able to get FREE in-store pick up. 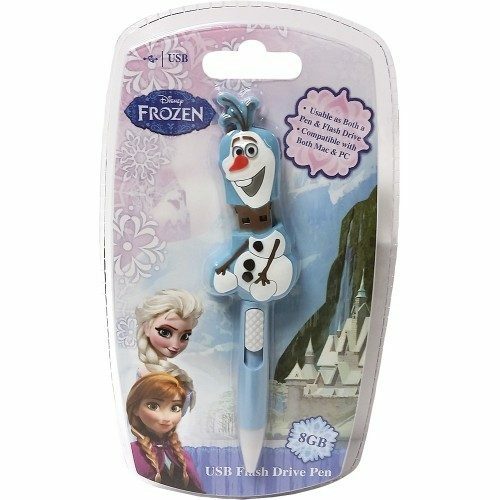 Take important files on the go with this Sakar Disney Frozen 21331956521 flash drive pen, which features an 8GB capacity that provides plenty of space to house music, movies and more. The USB 2.0 interface allows you to connect your PC or Mac.